Steriflex UHT system | Reda s.p.a. 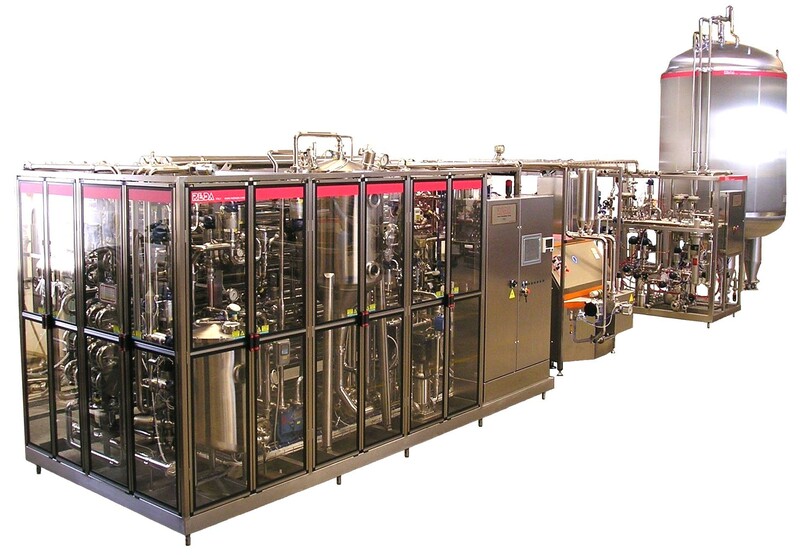 These are last generation plants in the aseptic field, and they have been projected, built and patented by REDA S.p.A. These plants, direct derivation of the ATR-UHT series, add to the typical characteristics of reliability, safety and quality of the REDA plants the innovative system STERIFLEX-UHT-REDA, which adopts new functional concepts and gives great advantages on both safety and quality of the final product. These plants are of the mixed direct-indirect type, where the product is subject to a pre-concentration during the heating phase and to a subsequent direct injection of vapor, in order to heat the product very fast to the sterilization temperature, up to +140/150°C. The system allows then the product cooling through tubular heat exchangers, therefore without any “Flash-Cooler” evaporation Aseptic Chamber, with many consequent advantages.